It's never too early to start preparing for Thanksgiving, especially if you're doing any cooking at all. Before you know it, Halloween will have come and gone and you'll be scrambling around trying to find the time to get your ducks, or shall I say turkeys in a row. 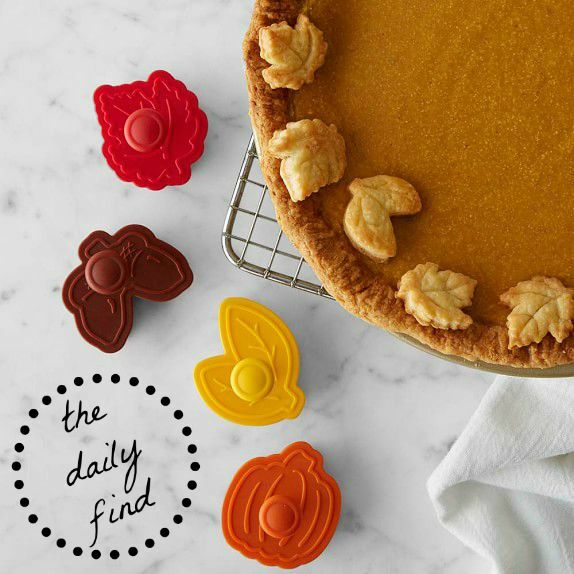 If you're in charge of the pie at this year's Thanksgiving feast, you'll want to get your hands on these little pie crust cutters for the perfect presentation. Just don't be surprised when your effort turns out so well that people think you bought it from a professional bakery!